the congestion of staying in Va. Beach or Williamsburg and come enjoy peace and quiet as your tour the area or beach it nearby. We love fishing, gardening, long walks and sunset golf cart rides with our children and visiting grandchildren to count the egrets and heron. The property is a true getaway but so convenient to everything in the area. We moved to the main house in 2006 and purchased the cottage in 2012 to have available for famiy, friends and guests. Everyone loves to come to and stay on the island! The island is surrounded by the York River and Broad Creek. The cottage has breathtaking views and the water can be accessed for kayaking or canoeing near the bridge. The Yorktown Beach and Gloucester Pt. beach are 10 minutes away for swimming and fishing. All linens are provided for 2 Queen beds, 2 Twin Bunk Beds, Queen Sleeper Sofa, bath and kitchen linens. We had a wonderful time at this location. There were 4 of us and there was lots of room and privacy. The views both front and back of the house were beautiful. It was so quiet and serene. We all loved it. we all highly recommend staying here. We had a wonderful stay with our 3 tween kids and grandma (3 kids/3 adults). We spent every day sightseeing and the location is perfect - all the area historical sites are within easy driving distance: Colonial Williamsburg, Jamestowne settlement, Yorktown, Revolutionary War Museum. Though the weather was chilly, we even made it to the First Landing Beach in Norfolk - about an hour away in good traffic conditions. The highlight of our trip was the Mariner's Museum in Newport News, a must see if you have time. The cottage is charming and has the best appointed kitchen I have seen in a rental. We cooked dinner every night, including an impromptu fish fry when my daughter caught a large fish off the pier who swallowed the hook! Mike and Donna were gracious hosts and helped us with fishing, sightseeing ideas, and alerted us to a high tide that we would need to drive through due to stormy weather. This is a great homebase for families or adults to return to in the evening. The view from the cottage is stunning and great for wildlife watching - it will be even better over the next month as the weather turns and you can sit on the deck. Next time we'll come during crabbing season. Book in advance! We had a great weekend at this sweet cottage. The owners were quick to respond to our questions and we felt right at home. Perfect for our family of 3 adults and 4 “littles”! My mom and I were looking for a quiet place to spend some quality time together while also being close enough to see some historic sites at Yorktown, Jamestown, and Williamsburg. The cottage was a perfect spot for our vacation. It's so beautiful and peaceful on the river and the cottage has all the amenities that we needed. I will definitely come back if I am in the area. Private, cute house away from the busier areas but close enough for all the conveniences. We had a great family vacation! The house and views are beautiful! We would definitely recommend this location and visit again ourselves. 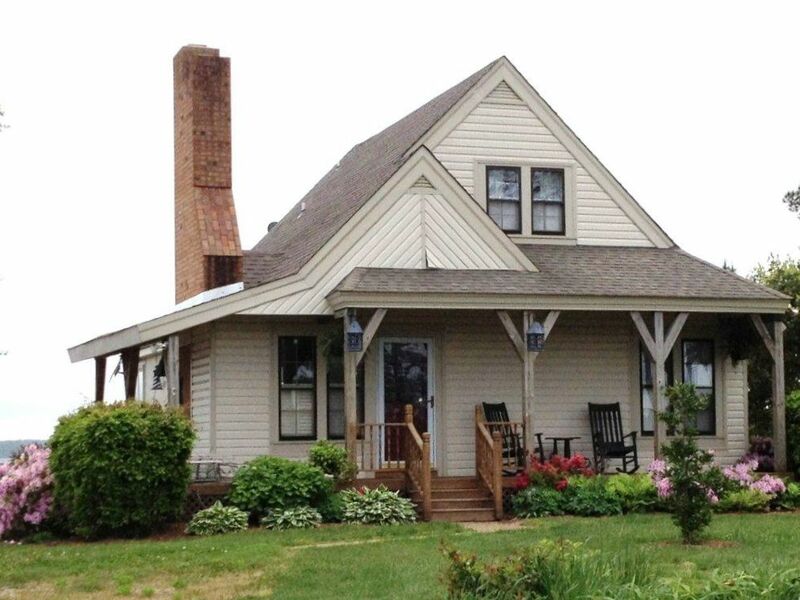 Our island cottage is located on a privately owned 15 acre island in the York River. The cottage is only 2 miles from all convenient amenities but you are in your own quiet, secluded waterfront setting with gorgeous sunrises and sunsets. The island is less than 15 minutes to historic Yorktown's Riverwalk shopping and beach community. Colonial Williamsburg, Jamestown, Busch Gardens and Water Country USA are only 20 minutes via the Colonial Parkway. This is one of the most gorgeous, tranquil scenic drives in America. Rates are subject to change until reservations are confirmed. We do give a 10% military discount to active duty military guests. Please read our Short Term Rental Agreement in detail before booking. Call the owner if you have any questions before reserving. Thank you!